I mentioned it yesterday - but just to restate: My friend's next book is really good!! You don't have to read the first on in the series to enjoy this one, as it picks up with new characters (though if you DID read the first one, you'll see some familiar faces as the story progresses). If you get the digital copy, you get it a couple days early, I believe. It comes out in other formats on February 25th, if you want a book to hold in your hands. 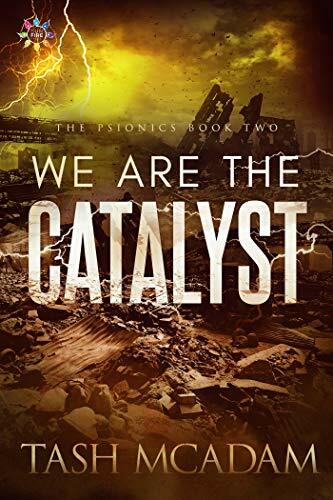 In my humble opinion, We are the Catalyst is even better than the first book - it starts with a very personal act of resistance, and then just snowballs out from there. 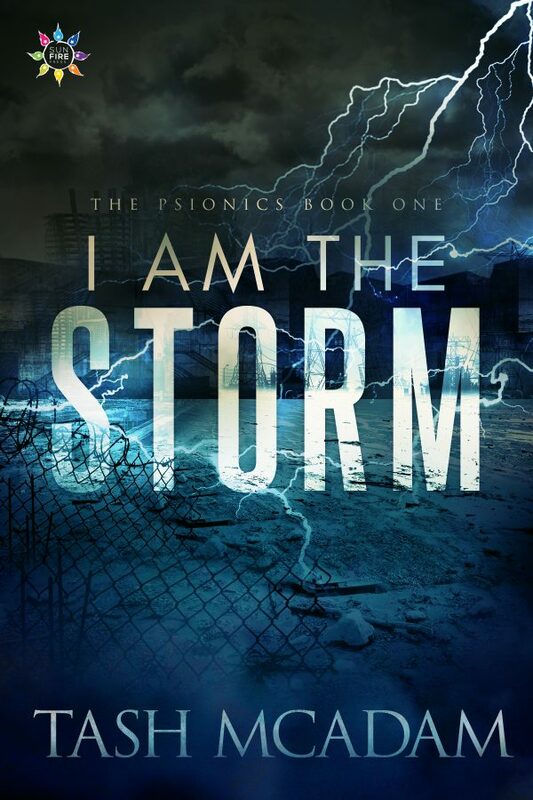 Tash also writes in a really action-oriented and suspenseful style that makes the book hard to put down. Anyway, please give it a read if you're so inclined! Super short rewatch post today, because there's just not that much interesting dialogue/characterizations to analyze in my opinion. And that's it! I'm hoping to do another one of these on Thursday. But of course, I've said that before and then just not done it, so we'll see! Welcome to the 300th episode!! I can hardly believe it. I've been doing these Quick Reactions since just before the 100th. In those days, I watched the show with my sister on an old non-HD TV that was permanently set to "dark" and so I couldn't see any action that happened in a dark room. MEMORIES! It was the year after that I met my local friend who started having me over on SPN night for dinner, wine, and the show...and that's what we still do to this day. So, since I have indeed had wine, the usual rules apply - I have watched the show once, while taking crappy notes and drinking. Quotes are not meant to be accurate. And before I get into it, I'd just like to thank all those who still read my ramblings all these years later, even though LJ is now a mostly dead platform. Looks like the show is on hiatus until March 7th! (with a concerning preview for the next episode, that I'll just try not to get too anxious over). So that gives me a whole month to try to get a little bit ahead in my rewatches and other projects! I may try to do a second one of these during the week, as I'm realizing it's going to be an AGE before I get them done unless I step it up a little. Or, I may just decide that efficiency doesn't matter. Anyway, let me know if you have any thoughts in comments! Happy Sunday everyone! This is apparently the only thing I'm going to get done today! Yay me? This is a really solid episode and I liked it. Again, it's mostly about maneuvering Donna into a position where she's single and ready to spend more time in Sioux Falls... but it also finds the time to explore Dean and Sam's emotional state too, and that's really what a great MOTW does. It gives us an independent story, but situates us emotionally in the myth-arc. No rewrites on this one. Anyway, let me know what you think in comments! Usual rules apply, and episode is being recounted in the usual circumstance - it's late, I've had wine, and I only watched the episode once while taking poor notes. This Day in Supernatural-Universe History: Dean's 40th* Birthday Edition! NOTE: I don't repeat years like the show does for these, so Dean will reach an age older than 40. 1979 - Dean Winchester is born. 1984 - Jessica Moore is born. Elsewhere, Dean quietly turns 5. 1990 - At some point in January, John investigates a series of grave robbing in Windom, Minnesota. He hooks up with a nurse and unknowingly creates Adam Milligan. Hopefully, he does not miss Dean's birthday. Dean turns 11. 2006 - It's the first time Sam's been around for Dean's birthday in four years! Hopefully they do something special...even though Sam's probably sad because it's his dead girlfriend's birthday too. Dean turns 27. 2007 - I'm hoping that Dean's birthday falls between putting Father Gregory's soul to rest in in Providence RI, and Sam getting possessed and thus disappearing for over a week. Dean turns 28. 2008 - Dean doesn't get to celebrate his birthday over 100 times, so it either falls before or after Mystery Spot. My guess is before. I'm not sure if one celebrates their last birthday or quietly ignores it though. Dean turns 29. 2009 - Dean is probably still recovering from being beaten severely by Alistair, not to mention recovering from the news that he unknowingly broke the first seal to free Lucifer. Dean turns 30 (although his soul is now 70 years old). 2010 - Dean may have just escaped from a mental institution, or he may have just spent 24 hours with some teenage kid in Sam's body, or he may have just traveled back in time to save his parents' lives. In any case, I hope that Sam treated him to some pie. Dean turns 31. 2011 - Dean turns 32 at Lisa and Ben's house. Elsewhere, Sam is hunting without his soul. 2012 - There's a good possibility that Dean celebrates his 33rd birthday with a newly resouled Sammy. They may have just slain a dragon and rescued some virgins too. 2013 - Bobby possibly dies very very close to Dean's 34th birthday. I'm going to go ahead and hope that maybe Dean, Sam, and Bobby all celebrated Dean's birthday just before going on the hunt in the woods of New Jersey. There is, however, a possibility that Bobby died just before Dean's birthday. 2014 - Dean turns 35 in purgatory (though he probably doesn't physically age) perhaps having already found Cas, perhaps still looking for him. Perhaps alone, perhaps with Benny by his side. Meanwhile, Sam is dating Amelia Richardson whilst living in a motel in Kermit, TX. 2016 - Dean's 37th birthday probably happens sometime shortly after they discover that Kevin is haunting the Bunker, and they are able to rescue Mrs. Tran from Crowley's storage facility. 2017 - I can't say exactly what Dean did on his 38th birthday, but he was struggling with the Mark of Cain, and it may have been around the time that Charlie came back from Oz, also struggling with confronting her darker side. 2018 - Dean's 39th birthday might occur shortly before or after meeting Eileen Leahy, or perhaps before or after seeing Jody in Sioux Falls and helping with some vampires that are after Alex. 2019 - Dean most likely spends is 40th birthday in solitary confinement at a secret military base after supposedly trying to assassinate the President, OR, could be that he and Sam are able to break out just in time to celebrate as free men again. Let's hope for the latter. 2020 - There's no way to be sure, but Maybe Dean builds himself a nice "Dean cave" for his 41st birthday, and just maybe, shortly after decorating the room, he gets the honour of being animated into one of his favourite cartoons. 2021 - ?? We don't know! So far, it's not even January yet. I'll see you all again later to talk about tonight's episode! Oh man, I forgot this had audio-commentary! Okay, I'm going to do that tomorrow, and have my rewatch be a day late, because I am too exhausted right now to watch the episode again. I probably DID have time to do that last night, but I hardly knew that at the time. As usual, let me know if you have any thoughts in the comments! Let me know what you thought in comments! Sorry this isn't as witty as my usual half remembered blatherings. Hello! I missed Thursday again, this time in favour of watching Brooklyn 99's return at my friend's house. BUT, at least I'm caught up with where we are in S14 before S14 starts back up again, and since there are still some breaks coming up, I'm sure I'll finish S13 rewatches before S14 finishes airing. ...also, I've been a little over-busy and exhausted. As usual, let me know what you thought in comments - sorry this is another short one. Like I said, I've been a bit exhausted recently. I'll probably have way more to say about Wayward Sisters, especially since it didn't get picked up - but you'll have to wait for next week for that one. Wow, that was EXTREMELY SHORT... please let me know all the things that I completely failed to talk about. Until then, Candy Crush and Podcasts! Okay, so obviously, it's been a bit longer than I intended - but I got distracted with Christmas and stuff... well, first depression, then Christmas and stuff. But I'm back to functioning now, so let's do another rewatch! It's Thursday! So, let me try to get something Supernatural-related done, in the absence of a new episode. I meant to do this earlier in the day, but alas, I'm a chronic procrastinator. So, you get it now, which is, frankly, already Friday for most of you. Now, I don't know about the rest of you, but I'm finding this December more depressing than usual. So, hopefully this episode stands up to my memory of it being mostly lighthearted, because I wouldn't mind that at all! As usual, let me know what you thought in comments! Sorry I got a little off track and rambly with this at times. No rewrites though. It was good times. I have been extremely lazy all weekend. So, let's try to get at least ONE thing done, shall we?! As usual, let me know you're own thoughts in comments! I hope everyone's week is going a little better than mine! Not that anything is really wrong, it's just that overall, I've had kind of a bad week... so, I hope you'll forgive me if my energy isn't up on this one. Though I'll try my best! I wasn't drinking tonight, because I fell yesterday and hurt my left knee and right ankle, and as a result decided that I'd prefer to drive to my friend's place rather than walk. :P So, no booze for me! So, let me know what you think in comments! You know the rules. Time for another one of these! As always, let me know what you thought in comments! I always feel like I should do a preamble, but by now you all know the rules and me repeating them is kind of dumb. Uh, how was your day? Mine was okay. I had pizza for dinner and didn't drink tonight, because I was driving - so this will be a sober review. I AM freezing to death, because Vancouver is currently in a bit of a cold snap, and Vancouver gets the kind of cold that sinks straight to your bones because the air is so damp here. Anyway, I'd love to hear your thoughts! Also, how do YOU spell ax, because apparently both axe and ax are acceptable, but DW spellcheck will only except ax, but I like the LOOK of axe better, even though I'm pretty sure I may have been taught that it was ax in third grade, though I COULD be confusing that with ox, which is always just ox, unless there are more than one, in which case it's oxen, even though if there's more than one ax, it's axes.